Now in its fifth year, Philippines operator PhilJets Group has welcomed the addition of a pilot and a team member for the logistics department. 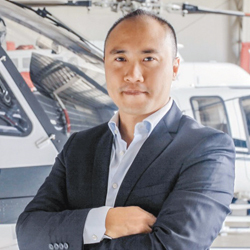 The company has also leased a hangar at Ninoy Aquino International airport in Manila and, during a recent Lagoon Escapade yacht event, gave helicopter rides to yacht owners around and across the islands in order to grow its client network. The company says it is to add aircraft and partnership arrangements over the second quarter of the year.